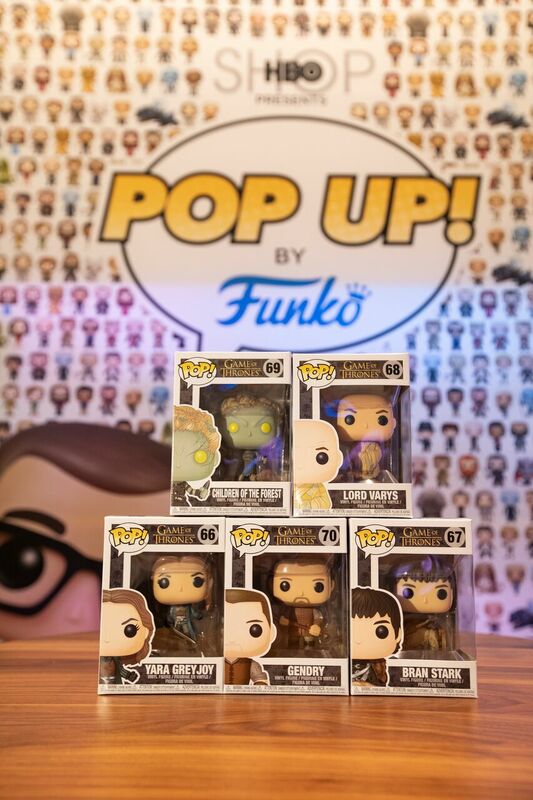 Hit up the HBO Funko Pop-Up Shop! – AiPT! While you are out in about in New York attending the NYCC; make sure you stop by the HBO shop located on 42nd St. and 6th Ave for more Funko exclusives! The shop is opened exclusively during the NYCC. The pop-up features an exclusive Game of Thrones Pop! figure that is only available as the HBO Shop. You will also have the first chance to purchase the latest Game of Thrones Pop! figures and a wide collection of Pop! figures from other HBO shows including Westworld, Veep, Silicon Valley, and more! They are opened from October 4th -7th. Friday and Saturday hours are from 10:00 a.m. – 8:00 p.m. and Sunday 10:00 a.m. – 7:00 p.m.
HBO Shop Exclusive Metallic Children of the Forest Pop!